Vanilla Ice Cream is just one of those things that is good to always have on hand. It goes great with so many desserts and it is so good on its own. Having vanilla ice cream in the freezer is a must at my house. And this homemade version is just too good to pass up. Warm the milk, sugar, 1 cup of the cream, and salt in a medium saucepan. Scrape the seeds from the vanilla bean into the warm milk mixture and add the bean as well. Cover, remove from the heat, and let steep at room temperature for 30 minutes. Pour the remaining 1 cup cream into a large bowl and set a mesh strainer on top. In a separate medium bowl, whisk together the egg yolks. Slowly pour the warm mixture into the egg yolks, whisking constantly, then scrape the warmed egg yolks back into the saucepan. Chill the mixture thoroughly in the refrigerator. 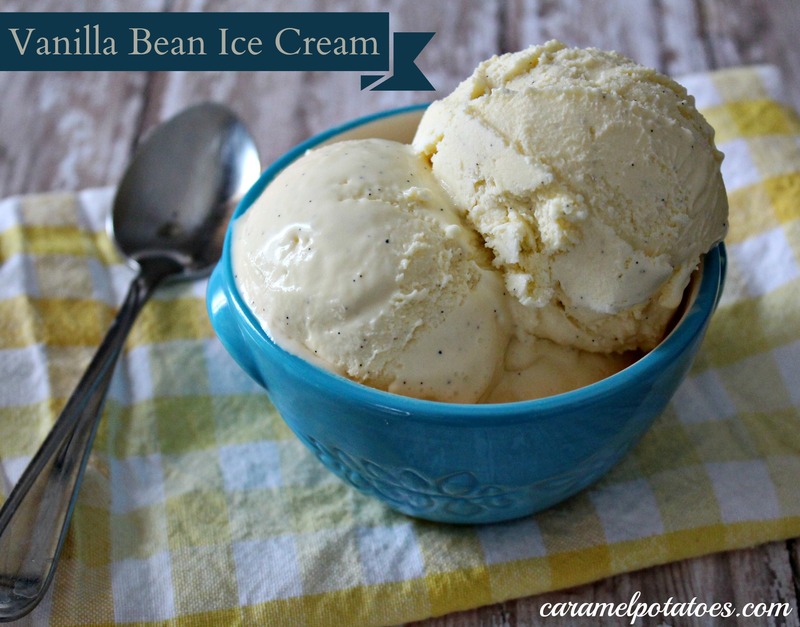 When ready to churn, remove the vanilla bean and then freeze the mixture in your ice cream maker according to the manufacturer’s instructions.